When I started out buying my first bits of HomeKit gear, one of the things that I really desired at the time was a light strip, and at that point, the main (possibly the only) option was the Hue Light Strip. I cringed at the price though, and worked out that the standard length wouldn’t actually be quite long enough to comfortably cover all four edges of the back of my TV, so in the end I went with something else. Luckily there are more companies selling smart light strips now than ever before, and while the Philips Hue strip is stubbornly sticking to pretty much the same price point (barring deals and sales), the other companies are offering some great products that are just as good in many ways, but at around half or even a third of the price of the Hue strip. Today we’re looking at one of these; the VOCOlinc LS1 Smart Light Strip. Now it may not have gone unnoticed, but I’m a bit of a fan of Vocolinc’s approach to packaging, in that they have a consistent theme/design, the packaging is always quite solid, and they always make sure that everything you need is there, so not just the product, but detailed instructions, a customer service card, and other small items that ensure you have different options for where and how you will use their devices. This product is certainly no different in respect of those aforementioned aspects. The box itself is really quite large, coming in at 305mm/12″ wide by 210mm/8.25″ tall. Emblazoned on the front, as with almost all of their other devices, you get the HomeKit, Google Assistant and Amazon Alexa logos, so you’re covered for the ‘Big Three’, as well as icons for three of the features; voice control,16 million colours and 2.4GHz wifi. On the back we get a bit more detail, including what’s in the box along with further bullet points. 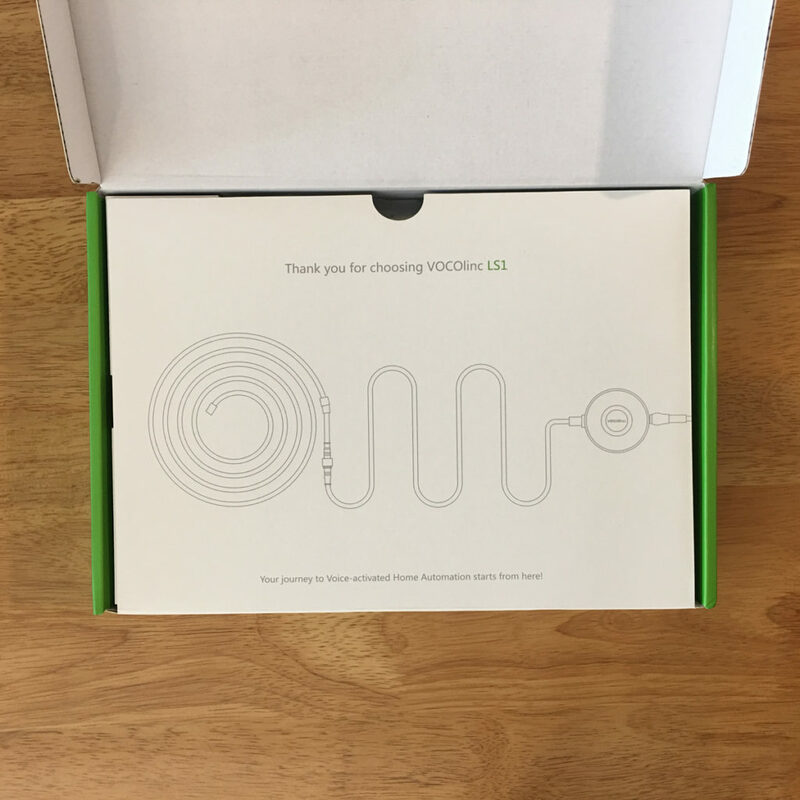 The one thing I tend to find with Vocolinc products, and with unboxing them, is that the presentation is always nice, but in this case, once you open the box, you get an inner lid with a simple line drawing of the product – almost like a little tease before you get your hands on the strip itself. Then again, maybe I’m reading too much into it…Once inside, you get to see the contents all nicely bagged up. The light strip itself comes in a sealed plastic/metallic bag, almost like a microwaveable meal! I’ve no idea why, but I’m sure there’s a good reason for it. 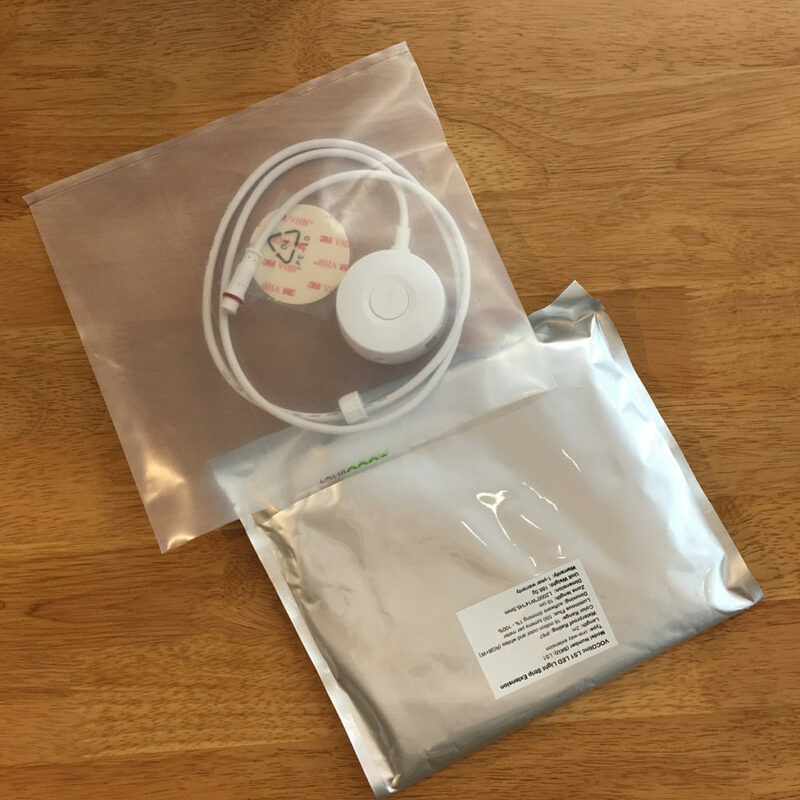 likewise, the physical controller comes in a plastic bag, along with a double-sided sticker for the button in the event you need to stick it to the side of a wall, for example. 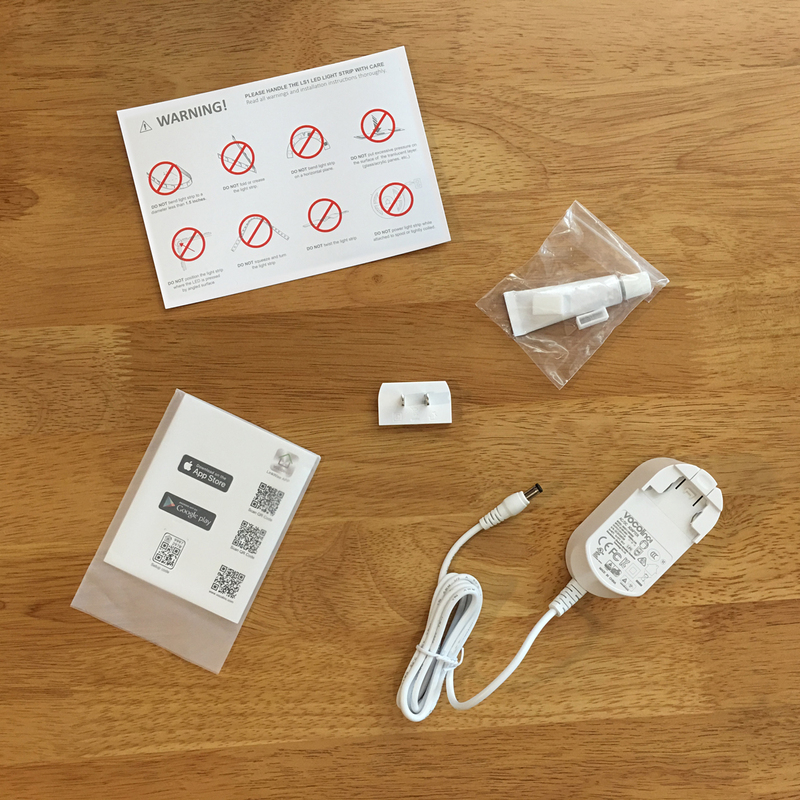 Aside from these two items, you also get a manual, a small pack of what I think is glue or some form of waterproof sealant and a sort of end cap, a card explaining some ‘dos and don’ts’ and the adaptor, which comes with a detachable electric pin part, which would be different depending on the region it’s purchased in. I have a Type A North American plug in this case. with the unbagged light strip and the main physical controller, you get to see the light strip, which in itself isn’t that remarkable – after all, the magic comes from the colour and light once plugged in. 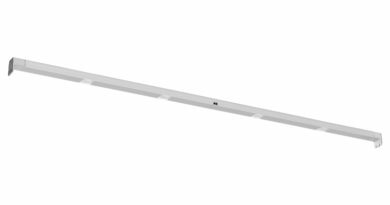 It’s 2m/6.56ft in length, as are pretty much all the other smart light strips on the market, and although it’s not mentioned on the outside of the packaging, the light strip is capable of a maximum of 550lm per metre, which therefore gives this light strip 1100lm in total. This is lower than the standard Philips Hue light strip, which comes in at 1600lm (800lm per metre), but higher than say the Koogeek, which is only 500lm per metre. So, it’s lower than the Hue Strip but also almost half the price, and from what I can gather, the Hue Strip doesn’t have a physical controller. In respect of lumens and brightness, I don’t know if I’m on my own here, but I tend to treat all coloured lighting as ‘accent lighting’, and so the brightness isn’t the main concern for me. So, with a light strip, I’m not necessarily looking for it to be super bright as such. Of course, if you want to use it in the kitchen as a replacement for strip lighting or spot lights, then maybe it would matter, but then would you need it to be colour too? At the end of the day it’s down to one’s own personal requirements of course, but in my case, using it under the TV cabinet, it’s more than enough. As already mentioned, the LS1 has a physical controller in the form of a simple on/off push button, which is handy for me, as the strip is located quite low down, and this switch is easily controlled by foot too (putting all potential hygiene issues to one side). 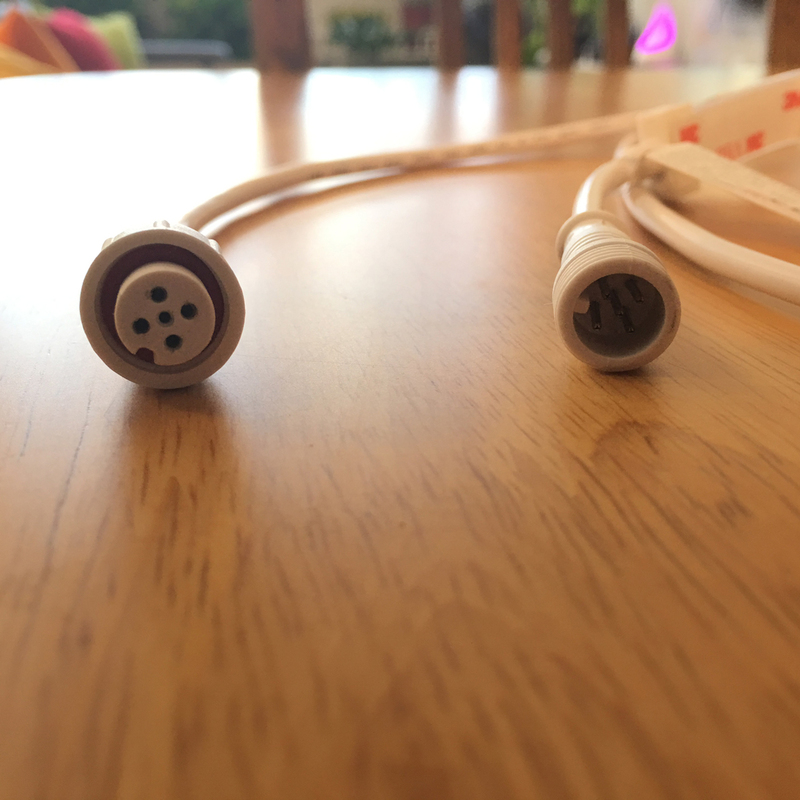 The cable from the power supply, which has detachable pins, connects to the circular connection that resides on the side of the switch, then the switch itself has a power cable that connects to the cable coming from the light strip itself. 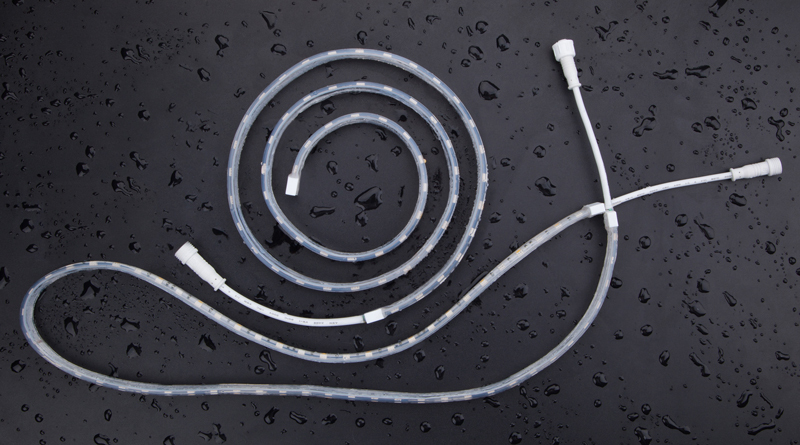 This proprietary connection between the strip and the controller is actually designed to create a waterproof seal. But why? 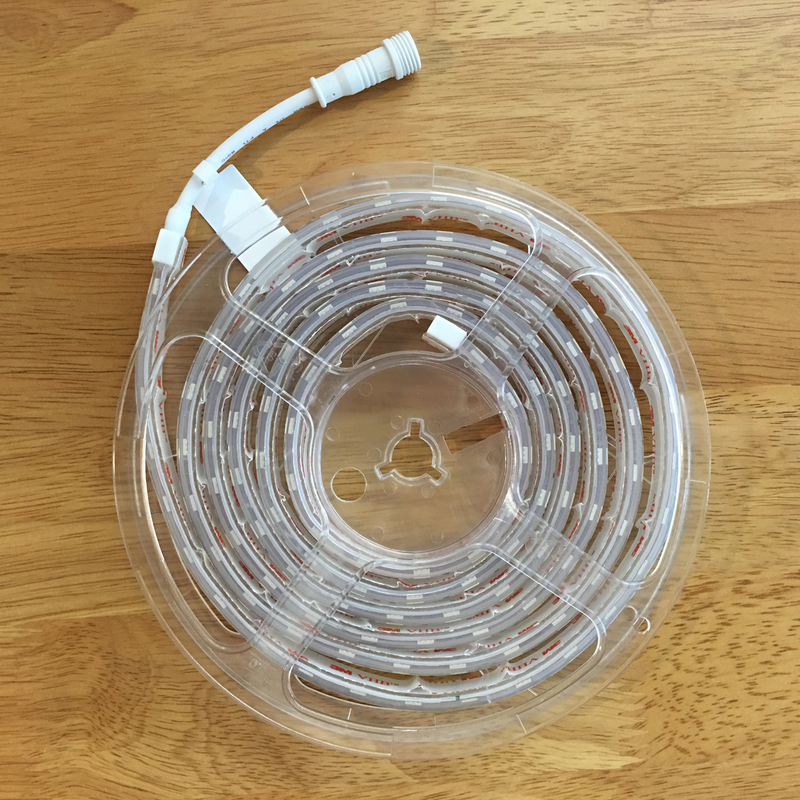 Well, the light strip actually has an IP67 waterproof rating – the same as the recently released Philips Hue Outdoor Light Strip. 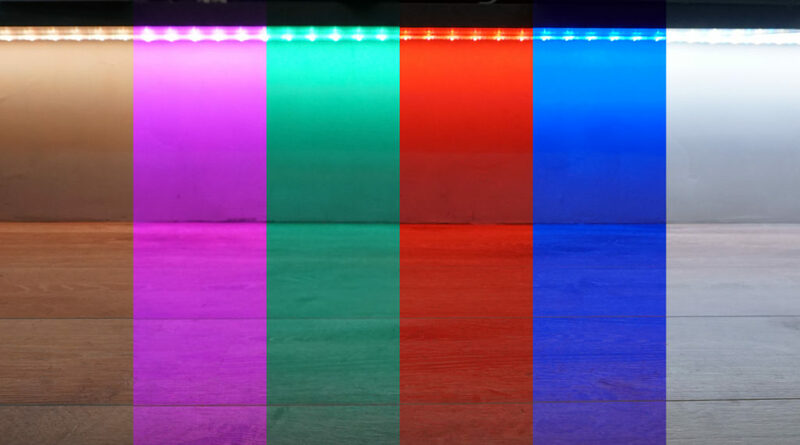 So, in this respect the LS1 has an advantage over the regular indoor Hue light strip. It has to be pointed out though, that whilst the light strip and the connection between the cable and the controller are both rated IP67, the controller itself is not waterproof, so this part would have to be kept dry. 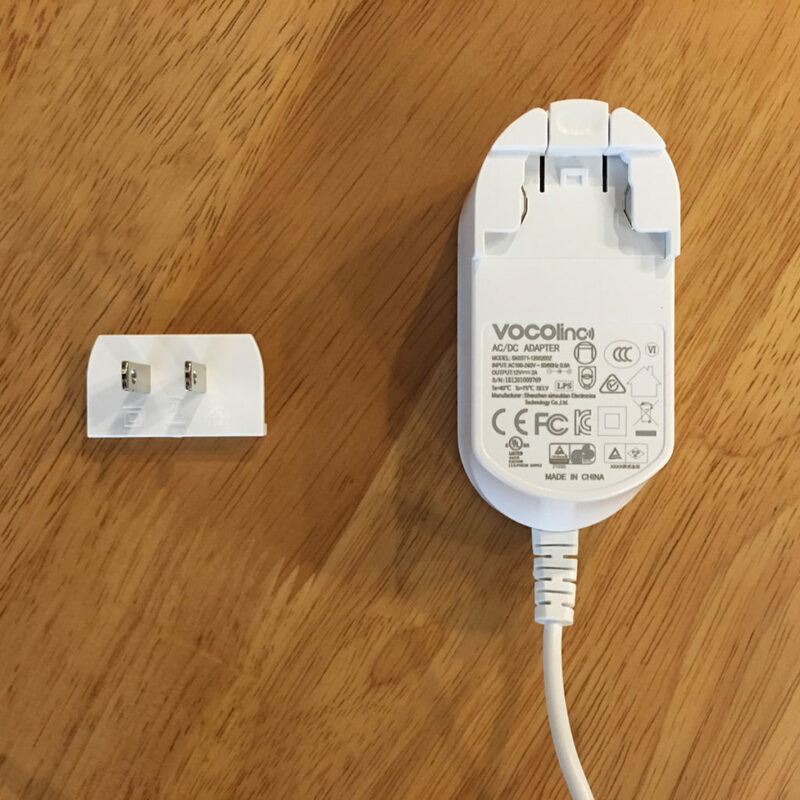 Like all smart LED strips, this can be cut to size, as long as you cut where the guides indicate, and it can also be extended – Vocolinc offer extension strips in 2m strips, with the maximum length of 10m/32.5ft. I have a few ‘dumb’ colour light strips in the home, and when I compared them to the LS1 it’s immediately obvious how much ‘chunkier’ the LS1 is, mostly due to the thickness of the casing that encloses the LEDs themselves, which also helps with the aforementioned waterproof properties. As standard, the LS1 has double-sided tape to allow you to mount these wherever you choose. For the purposes for which I use it, i.e. indoors and underneath the TV cabinet, both the amount of light, the colour and the length of the cable from the strip to the power supply, are all more than adequate. I have an elderly mother-in-law who lives with us, and she is unaware of the existence of HomeKit, and probably wouldn’t either care or understand the concept, but when it comes to pressing a button, she knows exactly what to do, even with her feet, so this button placed on the ground is perfect for her. In the image above, I’ve created a composite of a selection of standard colours, including cool and warm whites. apart from compositing the images, the colours are as I took them with the camera (Sony AX6300) and have not been in any way enhanced. The colours are all quite nicely saturated, and both the warm and cool whites are great. When it comes to the set up procedure, it’s all pretty much standard in terms of how it’s done in HomeKit, so no surprises there. 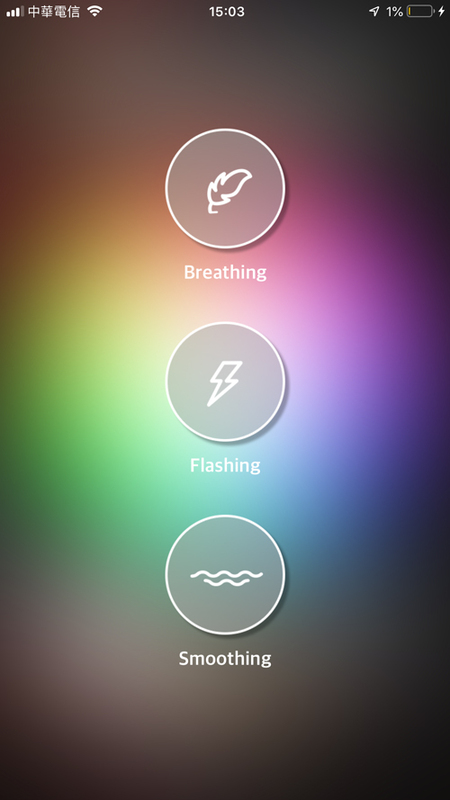 You do get access to extra functionality in the LinkWise app by Vocolinc, which I’ve mentioned in other reviews, so these ‘colour effects’ are standard in the LinkWise app across all Vocolinc products that are able to produce colour light (the L1 colour bulbs, The light strip and the Flowerbud). You have the colour picker as standard, but you also get three special lighting effects – Breathing, Flashing and Smoothing. Breathing goes from one colour to the next, but dips to off before going into the next colour. Flashing is the same, but there’s no fade out, just one colour to the next. Smoothing is the same as breathing, but there’s no dip in brightness to off, so the colours transition from each other smoothly. The ‘breathing’ effect used with light strip, situated underneath the TV cabinet, is quite subtle. All three of these effects can be customised, from how slow the transitions are, to the overall brightness, along with choosing which colours you’d like to include in the transitions, so if you only want to go from green to blue and back again, you can do this. Using the LinkWise app for the LS1 and the Flowerbud is one of the rare occasions where I like the effect, as the settings are more comprehensive. Onto reliability. I do see occasional mentions of people having issues with Vocolinc products disconnecting, and I will admit that occasionally this is the case with some, but not all Vocolinc products I own, but then I experience probably even more disconnects with a couple of my Eve products, so I’m inclined to suspect that my wi-fi network is just as culpable in this regard. Indeed, not to defend Vocolinc, but there are probably equally as many consumers who’ve said they’ve had no problems at all with their devices. On this subject, oddly enough, I was told that disconnecting one of my Apple TVs from serving as a hub generally improves things (I have two Apple TV4Ks), and I was surprised to notice a large improvement, especially with my Vocolinc products, which are usually the first to show up as not responding if there’s a problem, so it may be that these devices are more sensitive to potential issues that are still outstanding in the HomeKit system. So, even though I’ve got a few dumb light strips that I’ve somehow ‘shoe-horned’ into working with HomeKit (it’s complicated so don’t ask), it’s great to have a light strip that you can change colour with ‘on the fly’. As already mentioned, brightness isn’t a big factor for me, as long as it’s bright enough to add colour and mood to a situation. If brightness is an important point, you may want to look at the new Eve Light strip, which is probably the brightest one out there right now, but at a cost. Full disclosure: Vocolinc provided HomeKit News with the LS1 Smart Light Strip for the purpose of this review. No other compensation was made or requested. I asked VL about my constant connection problems, I mean constant. Every week every one of their products will go not responding even tho my network for 20 other HomeKit products are fine. They have said that a software update is coming to hopefully fix these issues that a lot of people have. I’ll be honest and say they aren’t the most reliable, but some of the stuff has been pretty solid, including the new SmartBar plugs. 1- Why do you think this product is so difficult to find? Even on the VOCOlinc website, both starter kit and extension pack are “sold out”. Is it EOL already? 2- I notice that due to IP67 rating, there is a large gap (because of the cables and their secure connection) between two consecutive light strips, making the light missing in this area. 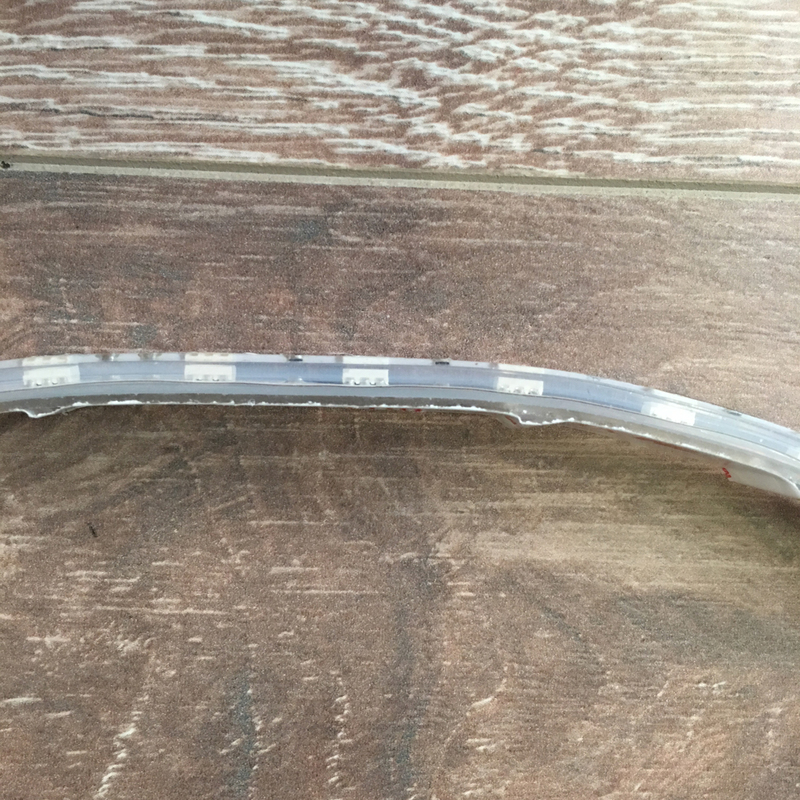 Do you think it is possible to remove the plastic cap on the end and solder the pins with the ones of an extension strip directly together to eliminate the gap? Hi Julien, sorry for the late reply. I’ve spoken to Vocolinc, and they advise against this, not least as it would void any warranty you may have left on the product. It would also possibly create issues with the IP67 waterproof rating protection, although that’s only if you’re using it outside of course. They are bringing out an update to the LS1 soon (the LS2) which will solve the issue you want to overcome. Yes I know I would lose the warranty and the IP67 rating when soldering two LS1 strips together. Good to hear for the LS2, many thanks! 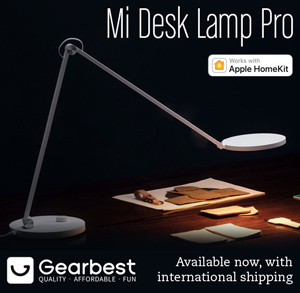 Yeelight (Xiaomi) currently offers a smart (Alexa+Google) LED light strip with such seamless extensions (the Aurora Lightstrip Plus). 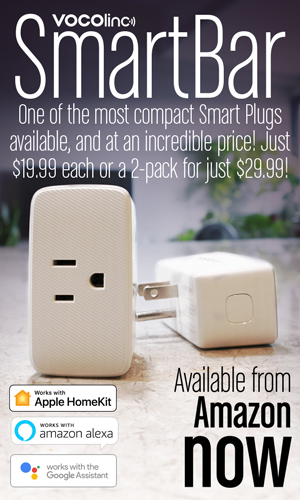 They are also about to bring HomeKit compatibility to this product. 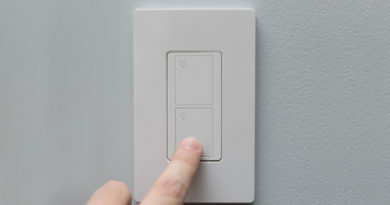 They offer a clever feature that competitors don’t have yet: when pressing and holding the main button on the controller, the strip cycles through various colors (I have suggested Yeelight to bring another user-selectable setting in the app to choose between color cycling vs dimming when holding that button). Currently, VOCOlinc uses the press & hold feature to reset all settings to factory defaults, something which should IMHO be affected to a dedicated tiny (point-like) RESET button instead. Since you seem to be in touch with the VOCOlinc team, can you please ask them if such a feature (color cycling and dimming options with press & hold) is being considered for the LS2? Ice got a few Yeelight products and I think they’re great, so I am looking forward to them getting HomeKit integration. I will mention the suggestions to them. They take any reasonable ideas on board as I’ve witnessed recently with some more forthcoming updates for their app and products. Simon, do you know the timeframe for the introduction of the new LS2 by VOCOlinc? It seems this product is not ready for prime time yet, as in the US any new electronic product with wireless capabilities must pass the FCC certification. When doing so, the process is public so its existence is then exposed before its official introduction on the market. 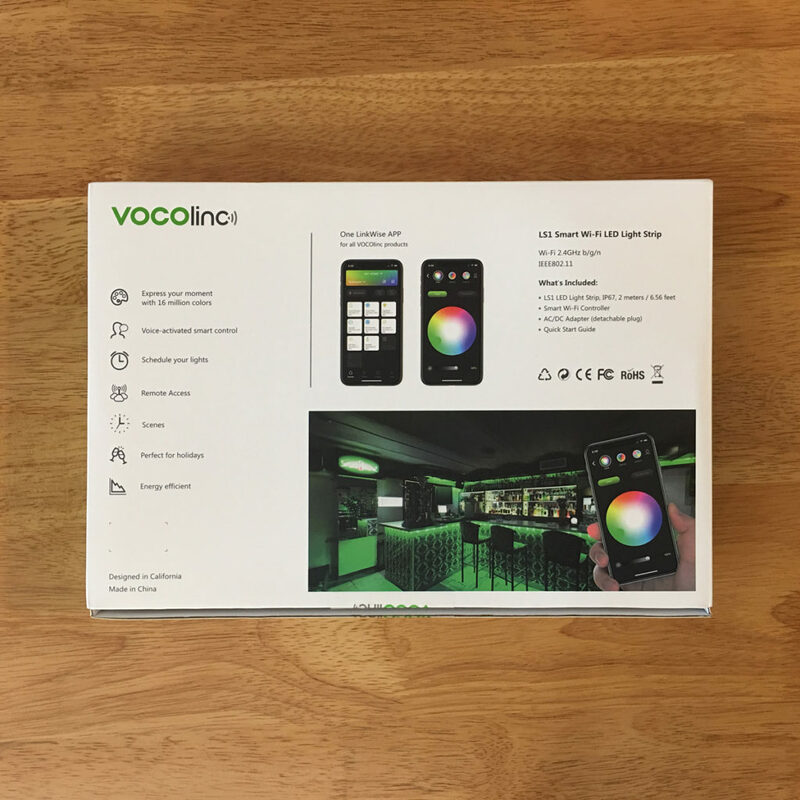 Vocolinc hope to have the new SmartGlow Lighstrip – as it will be called – in Amazon stores for early May 2019. Wonderful, and many thanks for this exclusive news! Some “VOCOlinc SmartGlow light bulb” has recently (February 21, 2019) been certified by the Wi-Fi Alliance. But it seems the mentioned product is a light bulb, and not a light strip. 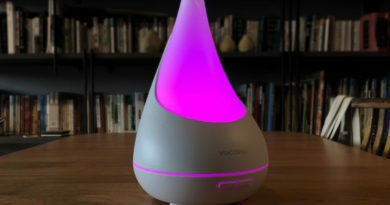 Either the document is poorly redacted and misleading, or maybe several different products made by VOCOlinc will have the same “SmartGlow” brand. 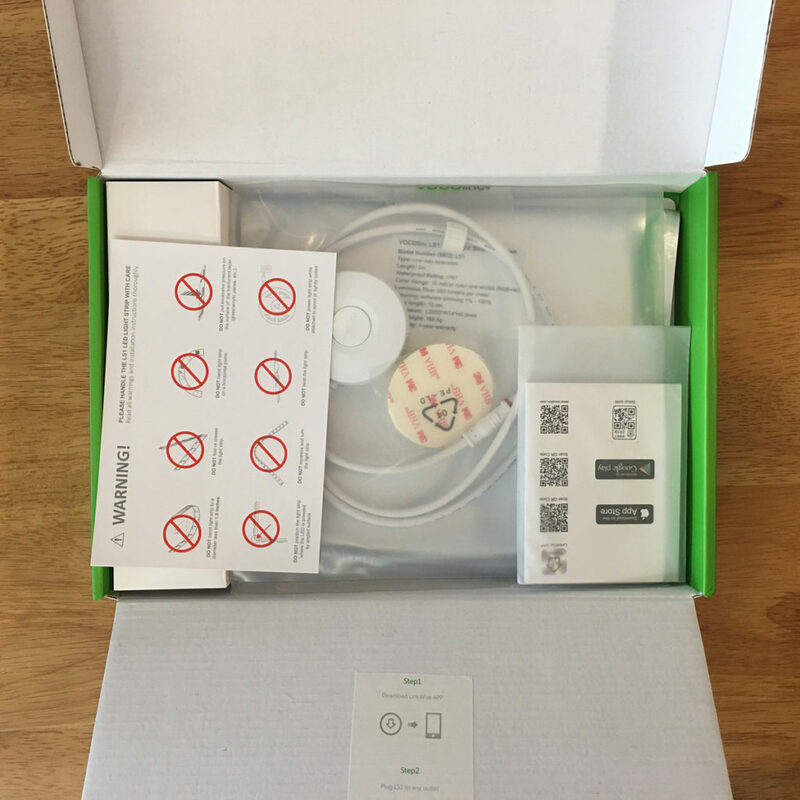 The SmartGlow light bulb is a separate product to the light strip I recently mentioned. I’ve been testing one of these light bulbs for the past few weeks, so there will be a review around the same time the product is released. Still 18mm wide? (quite large for a LED light strip)… we’ll see. I recall Yeelight Aurora strips have a width of 11 mm, easier to fit in some cabinets. 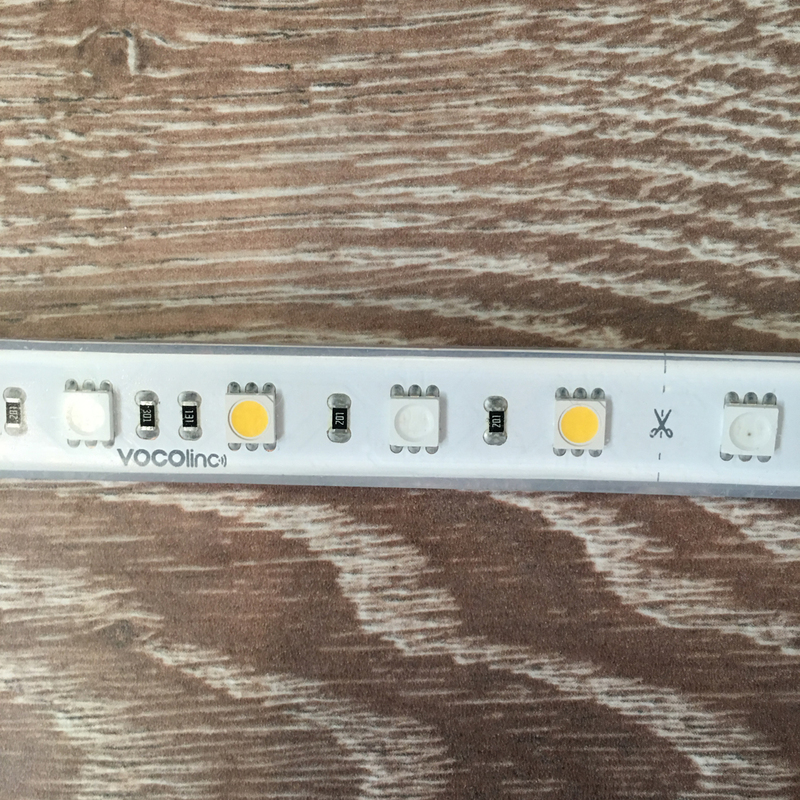 The new light strip will be similar to the Yeelight, so around 11mm. They will also have a different method for connecting the power strip and extensions, so you won’t get the gap in the light as you mentioned previously. Because of this adaptation, they will not be using the IP67 waterproofing rating. it’ll be fewer lumens, but it’ll also be fairly competitively priced. Can’t tell you any more for now. “No gap” and smaller width are a game changer for me. 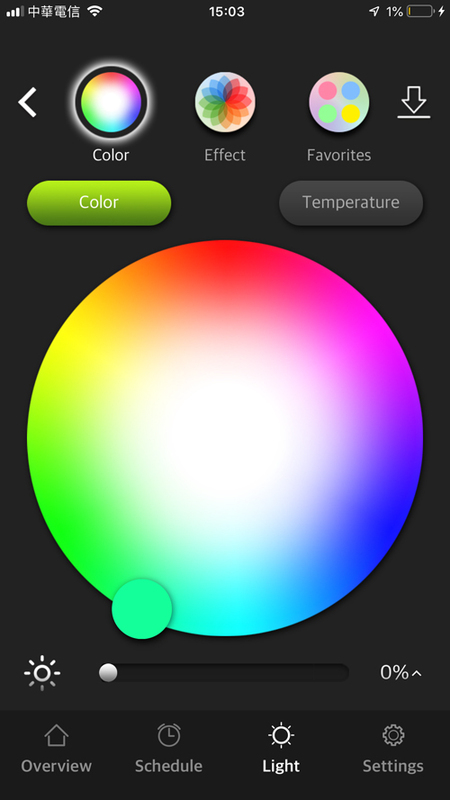 Depending on the final spec for the controller button (dimming, color cycling…) and the overall lumens I may choose Vocolinc instead of Yeelight for my project, especially for HomeKit. Keep up the good work with your clever website! Hi Sergio, sorry for the delay in replying. Vocolinc only does 2m strips, there are no 2.5m strips available, as far as I’m aware. The only difference between the LS1 and the extension they sell is that the extension does not come with the controller, as it’s meant to work with the main LS1 as an extension. That is strange. Can you send me a link to the 2.5m versions in the Spanish and German stores, as I can’t find them. I’ve spoken to Vocolinc and solved the mystery of the 2.5m version. So, to answer your original question, the 2m and 2.5 are both exactly the same apart from the length. 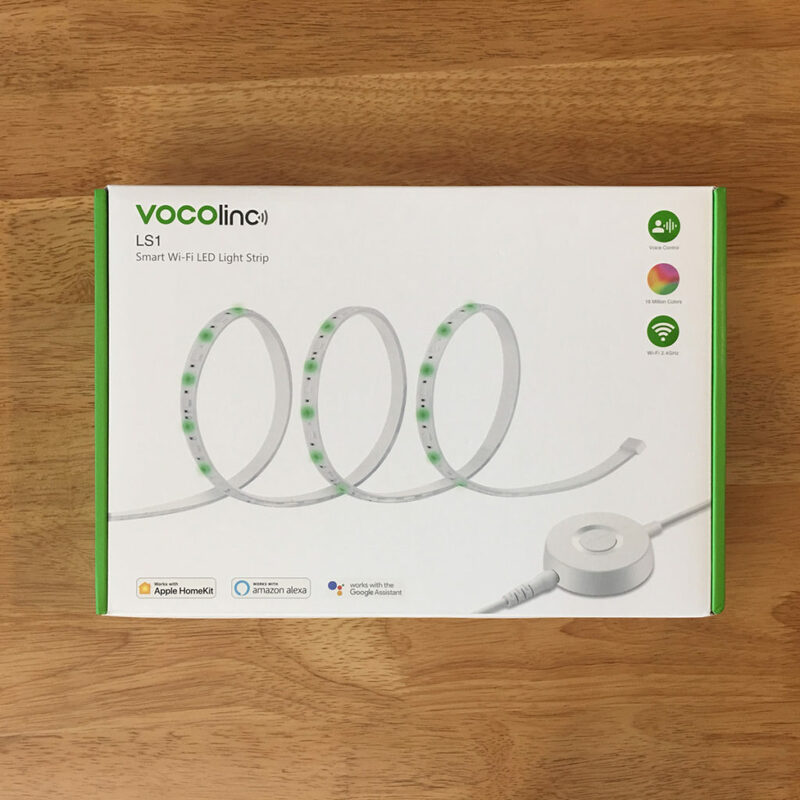 Vocolinc no longer manufactures the 2.5m version, which was originally made for offline retail stores only. They had to create the larger version due to the higher overheads when selling in offline stores, but it wasn’t a big seller anyway, so they stopped making it. If you find a 2.5m version, you’ll be one of only 2,000 people to own one!